Apple has some really great IOS devices, but they all share the same problem: the lack of USB support. Transferring files from your iPhone or iPad to a computer only works via iTunes or via Wi-Fi connection, which can be really very difficult for some people to use. It works like any other USB flash drive. Just plug it into your Mac or PC, then copy or drag the files into it as you would in any other USB. To move your files to your iDevices, just plug it into your iDevice via the lightning connector. The iStick comes in various capacities, from 8GB all the way up to 128GB. and supports almost all of the common file formats including video, audio and documents. No more file compatibility problems. They start at $89 (about N14,000) for the 8GB model up to $299 for the 128GB model. You can play 1080 HD movies, check out documents, listen to music and view photos straight from the iStick – no file copying, streaming or syncing required. 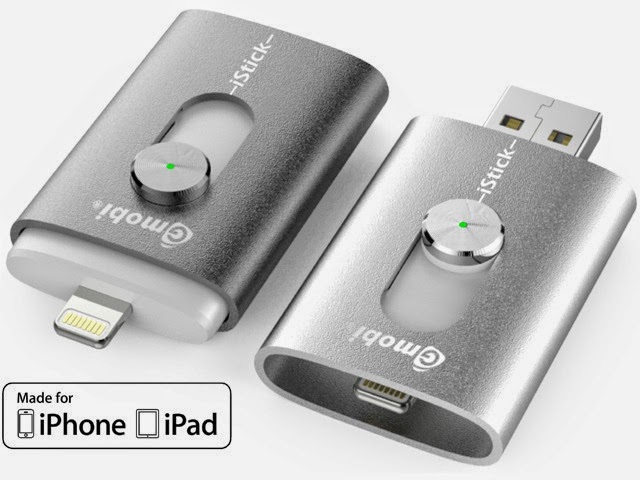 iStick also works as a great backup device for all your files from your Apple devices.